OYO 707 A-17 is a modern and cosy property near A Block Mosque, near Defense Colony, in Delhi. Tourist locations nearby are Shri Jagannath Mandir, Thyagaraj Sports Complex, Tomb of Mubarak Shah Sayyid, Jawaharlal Nehru Stadium, Lodhi Garden and St. Luke's Church. The Sewa Nagar Bus Stop and Lajpat Nagar Metro Station are close by. The property has spacious rooms with bright white walls and modern furniture. A few rooms have bay windows too. The bathrooms are clean and well-maintained. 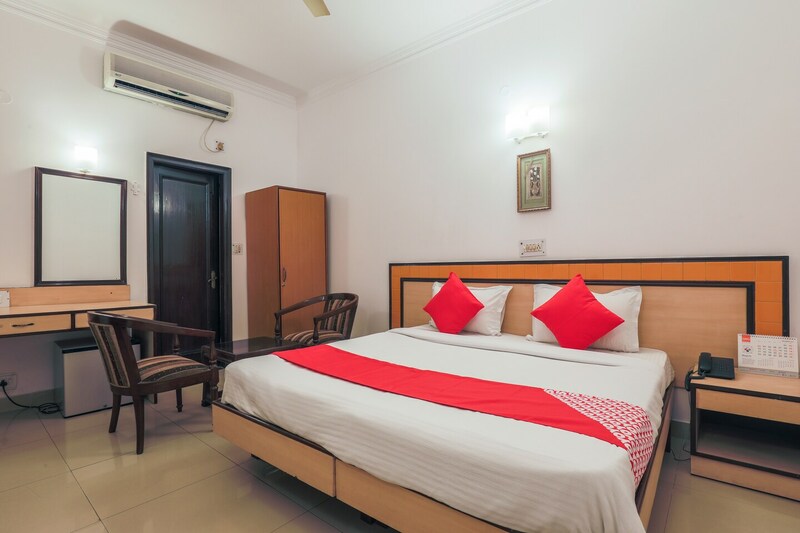 Each room comes with TV, AC and free Wi-Fi. Power backup, parking, and CCTV security are also offered. Restaurants in the vicinity of the property include Arabian Delites, Bronies Gastropub and Kent's Fast Food.